To begin, you will need to find your visual footage of choice for editing. One of the ways this can be achieved is by downloading videos from YouTube. To do this, begin by highlighting the section in front of the youtube url and replacing it with pwn (so it reads pwnyoutube.com). This will direct you to Deturl.com. Many of the downloading options are unreliable, so be sure to only click on File2HD (preferably in a browser like Chrome that helps prevent unwanted pop-ups as an additional precaution). Once here, check the terms and service box and select Movies, and then click the Get Files button (ignore any other buttons, no matter how flashy). Then click on the highest quality file to download your YouTube video. 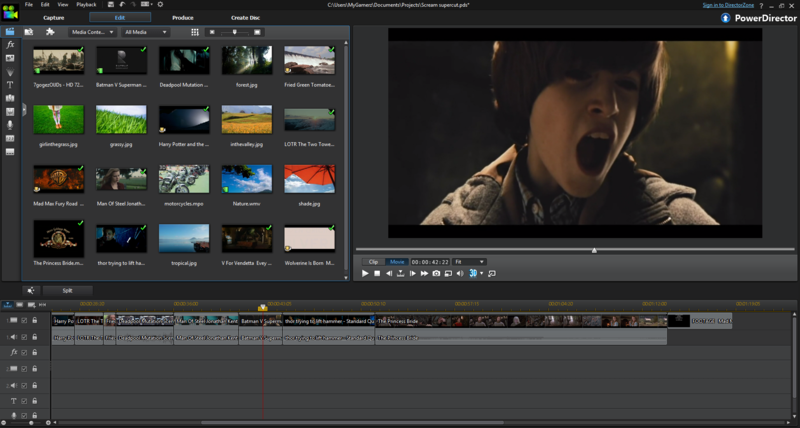 This video can then by added to your video-editing software of choice. Place the video on your timeline, mute the video, and then add your chosen song. Publish your video, and voila! I always enjoy the mashup video projects, so I decided to try the classical mashup assignment. I chose Sia’s new music video The Greatest as my visual content. Since the tone of the videos is more dire (as it is a tribute to the Orlando victims) I chose to use a more dramatic classical piece, Oh Fortuna (which also had a similar length of time). I downloaded the entirety of the Sia video using File2HD. I then removed the audio of the Sia video in iMovie and layered the audio from Oh Fortuna. The result was surprisingly good. Many of the musical hits match with visual elements in a very complimentary fashion. I uploaded the video to YouTube, but I’m not certain if the video is playable in the United States (due to the automatic detection of Sia’s visual content), but it appears to be available in Australia if one uses the Hola chrome plugin. I liked the idea of condensing a movie into its essential scenes, so I decided to try my hand at this assignment. It reminded me of movie trailers (which are often critiqued for giving away major plot points). After selecting Aliens as my movie of choice, I spliced what I considered to be the essential scenes together in CyberLink PowerDirector. I decided to focus on the aliens themselves, minimizing other major subplots (such as the centrality of Newt). But overall, I believe my editing choices convey an effective summary of the film. The video is below. Spoiler Alert! I enjoy watching America’s Funniest Home Videos, which often have an instant replay effect, so I thought I’d try my hand at this assignment. I chose a ridiculous scene from Xena: Warrior Princess, where the protagonist makes an incredibly cheesy gravity-defying leap. I did a quick Google Search to determine how to use slow motion in CyberLink PowerDirector (apparently its a Power Tools option) and completed the effect. The result helps emphasize the ridiculousness of the jump, while also demonstrating some of the mechanics of the Xena warcry. I loved the idea of making a serious movie funny, so I took this assignment and ran with it. I began by selecting my two scenes to mashup. For my serious scene I chose the reentry clip from Gravity (one of my favorite movies). Then I chose the proton pack scene from Ghostbusters as my funny audio clip. I downloaded these clips from YouTube, entered them in CyberLink PowerDirector, muted the Gravity scene, and overlaid the audio from the Ghostbusters scene. I edited the order of some of the shots from Gravity to make the audio mesh better, and the result was pretty solid. It does a fair job of demonstrating how important audio is for creating tone, and how two jarringly different pieces can come together in a pretty hilarious manner. The final product is available below for your viewing pleasure. I was intrigued by the idea of aging a movie trailer to make it appear to be from the silent era. It essentially admits that silent films are a separate art in and of themselves, with unique pros and cons (while of course also providing the opportunity for a humorous editing project). As such I immediately began to rack my brain for recent movie trailers… Then I hit upon the new trailer for Wonder Woman. Not only is it a beautiful example of a modern movie trailer, but the setting of the film is WWI. I could essentially edit the trailer to match the time-period of the film itself! As such, I realized that it would be the perfect candidate to return to the silent era. This video assignment posed a unique challenge, in that I have a great deal of experience with editing video, but haven’t had much need to use effects. So I began playing around with different options in the effect room of Cyberlink PowerDirector (my video-editing software), and found an effect called “Old Movie” that seemed to fit my needs. However, I adjusted the background color, as the original seemed to filter with a strange sort of mustard yellow that just seemed odd. I also realized that my video still seemed too smooth. It now was black and white with aged lines, but the actual playback wasn’t jumpy. I ultimately decided to combat this by adjusting the playback speed. I’ve actually been searching for a way to edit speed for a while now, and now had real motivation to properly investigate. Combing through the designer options yielded nothing, nor the effects room. I ultimately opted to try a Google search, and voila! The answer turned out to be in the Power Tools section of my software. I then sped up my footage to make it jerkier. After adjusting the playback speed, I began to work with title cards (specifically this one), stretching my selected card to fully fit the 16:9 aspect ratio. I opted to use subtitles to insert the dialogue. This was a bit of a pain, as it was difficult to center the dialogue, and timeline adjustments usually meant adjusting the placement of all the following subtitles. I also used Incompetech to select my silent film music, ultimately choosing a bouncier intro piece and a more dramatic distressed piece for the latter half of the trailer. After making small adjustments here till the video met my satisfaction, I published the final product on YouTube. The final product looks relatively well aged. Personally, I most enjoy the mashup of WWI battle scenes with this silent film style. The two mash together quite well, and helped affirm my trailer selection.